How time does fly. It has been four years since the third-generation Mercedes-Benz C-Class was introduced, and the compact executive car has certainly done very well for itself, with more than a million units sold worldwide. The announcement of the mid-life facelift came in December last year, a little more than halfway through the typical seven-year life cycle for a model like it. In Malaysia, since arriving in the second half of 2007, more than 6,000 examples have found owners, not a staggering figure, but impressive nonetheless. The C200 K and C230 that paved the way were replaced by the C200 CGI and C250 CGI, with the primary changes being in terms of powertrain. Seven months on after the facelift’s announcement, the car has arrived on these shores. 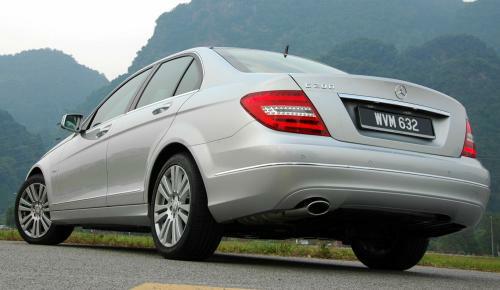 For its introduction here, the lineup retains the similar feel to the outgoing pre-facelift version in terms of model variants – the locally-assembled C200 CGI and C250 CGI BlueEfficiency roll in, at RM258,888 and RM290,888 respectively, looking to continue the successful run their predecessors had. There’s quite a fair bit of new in the car, even if it isn’t noticeable at first glance. The W204 was a dramatic step up in styling and design compared to the W203, almost a blitz in how it changed perception of the car. If the latter was a bit boring and dowdy, the W204 was most certainly not. For the facelift, Merc has seen fit not to alter the exterior too much, even if it has made no less than 2,000 component changes to the car, thereby retaining the shape’s poise and character. The front is where it’s most noticeable. For starters, there’s a redesigned bumper, which has a more expressive and dynamic contour, the front section being brought closer to the brand’s new design idiom. As a central element at the front, the shape of the radiator grille is more prominently supported by the bumper, and the central air intake opens out upwards in a V-shape, forming a visual base unit for the radiator grille. Meanwhile, pronounced side sections on the bumper extend from the sporty V-shape at the centre; these sections – beneath the headlamps – blend into the feature lines along the vehicle flanks, creating a better link with the sides. Lastly, the side air inlets in the bumper are positioned low down, to give the car a more road-hugging appearance. There’s also a new aluminium bonnet, chosen for its lightweight properties and contoured around the headlamps and radiator grille in such a manner that it emphasises the V-shape of the front section more prominently than before. Aluminium as material also features on the front wings and the door modules. Elsewhere, the headlamps have also been redesigned, and the new shape creates a more dynamic and resolute impression, so Merc says, aiding the rest of the front’s new cast to get the V-shape going further. The bi-xenons – which now feature the Intelligent Light System (ILS) as standard – has some rather subtle design cues, including a position light with a distinctive C-shape. 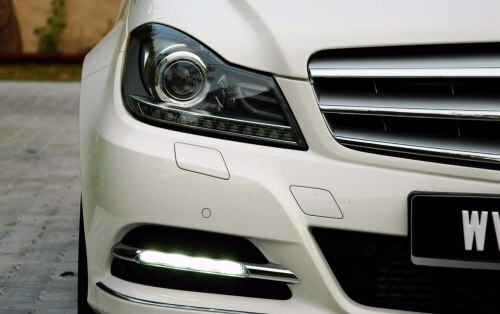 As is now the standard, LEDs feature prominently – the lower section of the headlamp is formed by a horizontal broadband LED indicator unit, and on the bumper sits LED daytime running lamps. Not much change in the rear, with just the tail lamps and rear bumper being reworked. For the latter, the light-catching contours and dividing lines have been modified to emphasise the width of the car even more. As for the tail lights, a continuous covering lens helps neaten their integration into the tail end, and the use of LEDs again feature prominently, offering a high recognition factor in the dark. As before, the radiator grille helps differentiate the models, the C250 wearing one with a sizeable tristar slapped on it, while the C200 makes do with a more civil looking one, its Merc logo sitting on top of the bonnet. Wheels also help signify the difference – both wear 17-inchers, the C250 being a 5-twinspoke design (with staggered 225/45 front and 245/40 rear rubbers) while the C200’s is a 7-twinspoke pattern, wrapped in 225/45 series tyres. Still, the exterior work doesn’t change things much from an overall perspective, at least not to those who don’t know what they’re looking at. Aside from the front, the side profile and rear view offer very little to the uninitiated that this is the facelift. 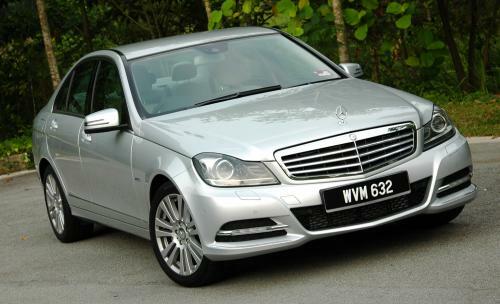 During the media drive up to Ipoh last week, hardly anyone took notice of the car, though on the return trip, I did catch one person checking the car out whilst on the move, and it happened to be a pre-facelift owner, chugging along in his W204 C200 CGI. Inside though, there’s no mistaking what exactly this one is. It’s where everything’s happening, so much so, what’s been slapped on makes the pre-facelift model’s interior look a bit shabby when you explore it now. The new dashboard leads the way, and its more angular lines that offers a more focused presentation. Styling-wise, the fascia follows on that found on the W212 E-Class. Gone is the central pop-up lid in the pre-facelift model, which hid the COMAND LCD screen – I always thought it was a bit gimmicky and plasticky, and the open configuration sitting underneath the stepped extension to the instrument cluster now offers a far more pleasant view, and not just from a legibility point of view. The trim and choice of material have also been significantly improved. If there was one major thing to pick about the old car’s interior, aside from the aspects of design and layout, it would be that things felt a bit cheap (not tacky), and not truly befitting of the car. Now, texture to both sight and touch have taken a big jump – the surfaces of the control elements are more finely detailed and galvanised, the upper dashboard section wears a new surface grain, and there’s more decorative trim to be found on the dash (specifically, into the passenger side area), among other things. Some of the changes are imperceptible, especially if you’re not familiar with that on the old – the rotary volume control knob’s weighing as you turn the dial is now heavier and offers a better tactile feel, for one. Others are easier to spot – there’s a new instrument cluster, with its three tube-style surrounds dressed in a galvanised surface, featuring an integral colour display in conjunction with a completely redesigned multi-function 12-button steering wheel. Speaking of the steering wheel, the C200 CGI gets a four-spoke one, replete with a chromed trim panels for the controls, while the C250 CGI has a new generation three-spoke steering wheel, first seen in the new CLS. The three-spoker is a delight to the eye and hand, offering good ergonomics and fit at its 3-9 contact point area. The updated C-Class continues with two lines. Going the Elegance route with the C200 bags you dark brown burr walnut wood trim as well as an instrument cluster with a cream backplate, and there seems to be a choice of interior colour combinations to be had – the two C200 examples I hopped into had different ones, one in black and the other, cream. The seam outlines are also in a contrasting light grey, less noticeable on the cream-based interior. Meanwhile, the darkened interior of the C250 gets brushed aluminium trim, a silver backplate for the cluster and horizontally stitching for its seat rests and backs. With the different routes also comes different outputs. While both variants wear the M271 DEH four-cylinder 1.8 litre, direct injection, turbocharged engine, the state of output tunes naturally differ. For the C200, this is 184 hp at 5,250 rpm and 270 Nm at 1,800-2,500 rpm, while the C250 has 204 hp at 5,500 rpm and 310 Nm at 2,000-4,300 rpm. Performance specs include a 0-100 kph time of 7.8 seconds and a 235 kph top speed for the C200, while the C250 is a shade quicker at 7.2 seconds and 240 kph. In essence, the engines remain unchanged for the makeover. New though is the inclusion of a 7G-Tronic Plus seven-speed auto transmission to replace the five-speed in the pre-facelift, and both versions get it (the C230, incidentally, featured a seven-speeder). With wider gear ratios, an improved Sport/Eco shift programme and greater mechanical damper insulation, the improved NAG II FE+ box – with an overall ratio optimised for fuel economy – promises improved drive feel. In terms of fuel economy, MB says that the facelifted C-Class variants offer a 13% improvement over their pre-facelift siblings. 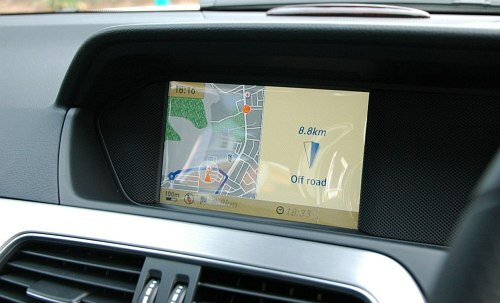 Other items on the equipment list include new driving assistance systems from Adaptive Highbeam Assist and Attention Assist to Parking Guidance for the Parktronic system, as well as a new telematics generation offering new features such as phone book transfer, display of SMS messages, wireless music reproduction via Bluetooth and a USB interface that is now accommodated in the centre armrest. 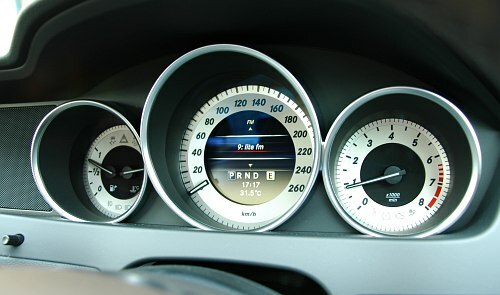 Besides a Dynamic Handling Package, the C250 also comes with built-in navigation and a COMAND Online multimedia system; as its name suggests, internet access – via your mobile phone connection – is provided in the C-Class for the first time, though surfing is limited to only when the car is stationary. All that out of the way, it’s time to find out how it all fared in use, even if a short media drive isn’t going to be all too all-encompassing. 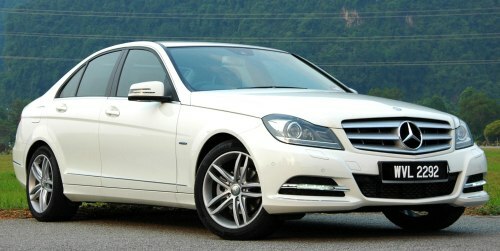 Having jumped into the drive directly off a long-haul flight in the same morning, there was little to suggest that anything had radically changed performance-wise upon first measure – the outward bound journey was made in a C250, and it felt very much like the pre-facelift in its dynamic qualities and character behaviour. The car felt brisk enough on the highway, pretty much what I remembered the previous CGI version to be in terms of zip, a bit on the raw side when pushed, but efficient nonetheless. The steering remains lightweight in feel and feedback – it’s fast enough (a bit skittish at speed, even), but there’s none of the directness and information coming off it you’d find on a Munich equivalent, and we’re not talking merely about weight here. 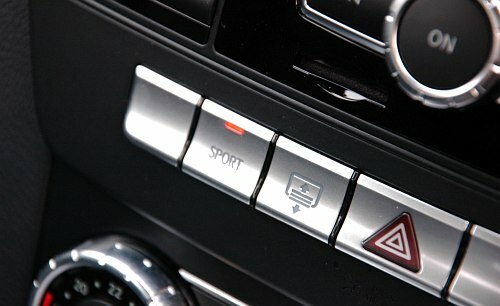 Now, one can argue that for most C-Class drivers, this is hardly going to be anything they’d fuss about. I do think the new three-spoke steering wheel is the bee’s knees though; sure, the grip isn’t as meaty as a Veedub’s, but it’s an absolute gem to hold. Switching on the Sport mode out on the open road proved to be a quick affair, in that switching it back off came very quickly after – going in a straight line is hardly the terrain to try out firming up the suspension. We’ll get to that when the car comes in for a more complete test session. In the end, there was only one corner that offered the chance to push, a hairpin that the car aced comfortably (pardon the term) with Sport mode on. Still, you always get the feeling that prodding the C into corners isn’t exactly what it’s all about and why you’d buy one in the first place. The return journey the next day, in the C200, proved how much of a cruiser this one is – I drove back alone, my driving partner having hightailed out earlier in another car. With the effects of jet lag still plenty in evidence, the drive home – at mixed speeds – turned out to be effortless, and that I came out of it no more worse for wear than I already was at that stage is testament to the car’s ability to soak it all up. Of note is the seat comfort levels, which are high. Granted, Ipoh isn’t exactly Mars, but a couple of hundred clicks when you’re tired feels a bit like it. If there’s an area where performance has improved, then it has to be with the seven-speeder, which smoothens things out considerably and adds further to the C’s refinement levels. In terms of response, it’s far more rapid than the old five-speed box, for sure. 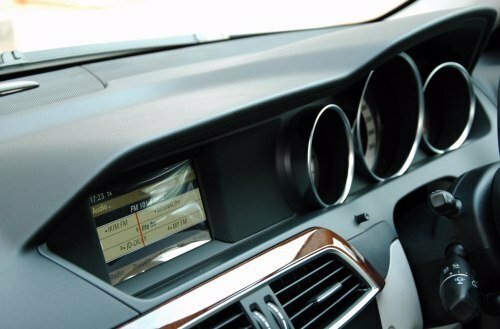 Having spent a fair amount of time in it, the new interior is, simply put, fetching. The switchgear feels good to the touch, and the new instrument cluster and LCD screen is well easy on the eye. In all, the entire bag of tricks really does make the reworked C a far plusher offering than before. 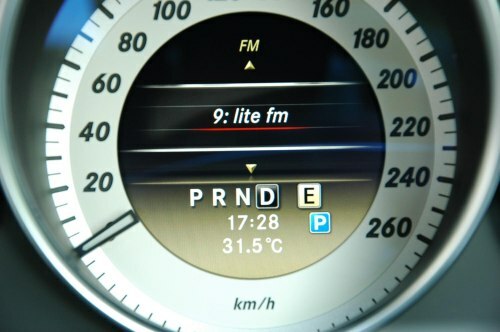 In 2007, when the C-Class first arrived here, I decided to pit it against the BMW E90 3 Series in a two-way comparo for the publication I worked for then (to kick-start shootouts there; it had never been done in the newspaper, and it’s not something that will be done now), and with three different drivers providing their opinions, the C200 K ended up ahead of the 320i as the preferred choice for all three reviewers, which was a revelation to us. Yes, the 3er ran rings around the C in drive dynamics and left it trailing doing all the ham-fisted stuff – feedback to input, progression, steering, traction, linearity, the BMW simply ticked off all the boxes ahead of the Merc. But it was also less forgiving in its character, less compliant on the whole and certainly less comfortable in an urban environment on a day-to-day basis. As much as the E90 had eminent drivability (if lacking in power) and appealed to the driver in me, the balanced – and arguably, better – temperament of the W204 was hard to ignore. Certainly, given that most owners don’t drive their cars like they stole it, you can see where we all ended up, the cruiser winning the vote over the bruiser. Nearly four years on, I’d like to believe that things haven’t really changed all that much. Undoubtedly, the arrival of the F30 will bring about another change in the landscape and perspective, but for now, the status quo remains. One where the choice is made with the heart, and one made with the head, as before. And you can call me soft, but if done once more, I’d know which one I would pick. Again.